Drinking in season? Not today we’re not. It’s a hot year down here in Georgia: 90 degrees in May…who’d-a-thunk-it? So I’m rebelling against Mother Nature and mixing up two drinks best served (in my mind) during Fall or Winter. Both make use of aquavit, and I’m excited to share them because drinks that feature the spirit are few and far between (though quite a few new ones have been popping up recently). Time to crank up the AC and think about the little fiddly bits around fjords. Stir with ice and strain into a chilled cocktail glass. Garnish, expressing the lemon oils over the drink & dropping it in. The drink was pointed out to me by friend Steve W. who noticed it hiding in the pages of last month’s copy of Imbibe (Mar/Apr 2012) — somehow I had managed to miss the Turf War. The drink comes from Katie Stipe of Vandaag, a restaurant and bar in the East Village whose “spotlight is fixed on the flavors of Northern Europe.” The other drinks on their menu look quite interesting: genever, gin, and aquavit are the stars, of course, as are infusions (pickled brine & seaweed-infused aquavit, anyone? Or how about peanut syrup? Hey, I’d try it at least once). 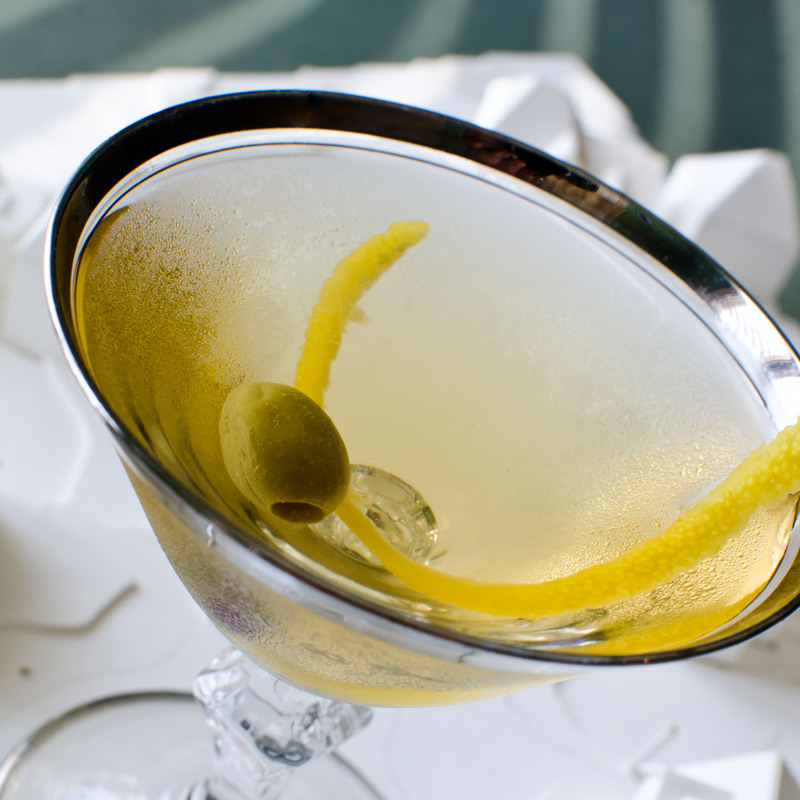 It’s crisp and cold, like a martini, but with just a hint of maraschino and absinthe to ramp up the spice while a dose of Lillet files off the edges a bit. The Turf War comes across as a great aquavit delivery vehicle…you’ll enjoy it if you like caraway, the primary flavor in Linie (use Aalborg or Krogstad aquavit for more anise notes). The Olive doesn’t contribute much in the way of liquid flavor, but it is a nice accompaniment to the drink (I don’t especially care for them, to tell the truth); the oils of the lemon peel certainly help provide some depth and citrusy zing. As far as structure and history go, the cocktail is really just a 1920s Turf Club with an aquavit base and Lillet in lieu of dry vermouth. 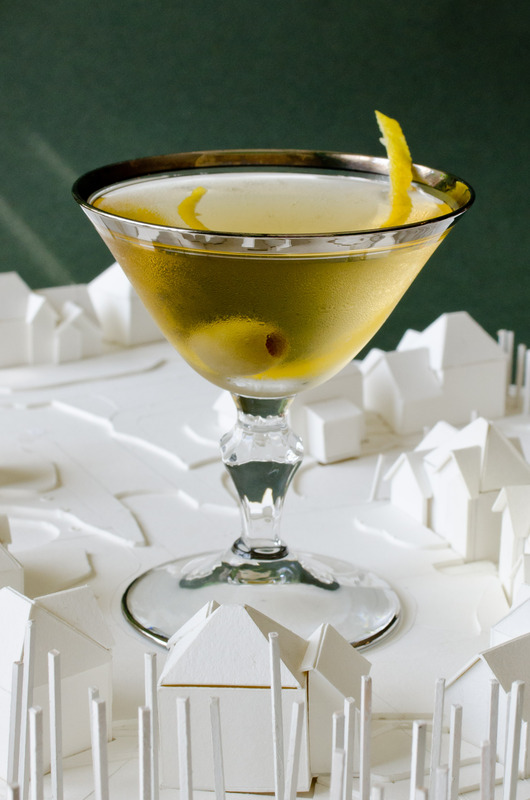 Formulae for the Turf or Turf Club differ, but it’s certainly a relative to the Martini, if not a predecessor, especially in its earliest form: a combination of genever, sweet vermouth, and bitters. The mixture we’re concerned with, however, comes from Harry McElhone’s 1922 ABC of Mixing Cocktails, and is made with Plymouth gin, dry vermouth, Maraschino liqueur, orange bitters, and absinthe, and garnished with an olive. See? Almost identical to the Turf War. Stir with ice and strain into a chilled coupe. Drop the bitters on top of the drink and serve. Nicely bitter, but not too bitter (fear not, Campariphobes!). 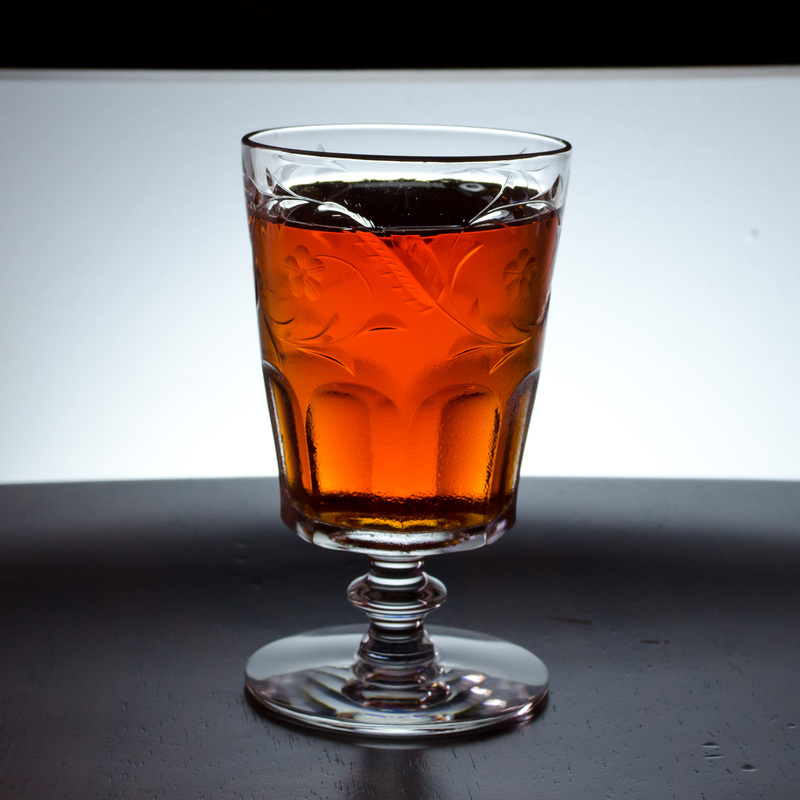 Actually, a great deal of the bitterness is taken off by the spicy, barrel-aged caraway of the aquavit, and the flavor boost provided by the Carpano allows the citrus and fruit of the Aperol to come through. Plus, look at that beautiful, orangey-copper color! You may be asking, “Bitters? On top? As a garnish?” Yes, this works: the initial aroma that you pick up contains bright, spicy orange notes, while the first sip is slightly astringent, but in a good way. The recipe itself comes from Jesse Held of Marvel Bar in Minneapolis, and was published in Northstar Cocktails, a guide to modern craft cocktails original to the Twin Cities. Given the Norwegian heritage of the region, I’m not surprised to see aquavit cocktails being originated there. All in all, the Norwegian Sunset a wonderful combination of flavors: it beats the Turf War in my book (but I tend to like darker drinks), and will certainly make its way into my drink rotation for Fall…which is always too far away. UPDATE — MAY 3, 2012: Cruising over my Norwegian Wood post, I noticed that a fan of the aforementioned Marvel Bar, Chris H, mentioned that they serve a Thomas Collins, basically a Tom Collins variation with aquavit and pickle brine. I’ll have to have a go at replicating bar/restaurant cocktails at some point, exact recipes or no. This entry was posted on May 2, 2012 by IJ Lauer in Absinthe, Aperol, Aquavit, Drink Recipe, Lillet Blanc, Maraschino, Orange Bitters, Sweet Vermouth and tagged absinthe, aperol, aquavit, cocktail, lillet, maraschino, norwegian sunset, orange bitters, recipe, sweet vermouth, turf war.